An irresistible magnetic game for 1 to 4 players, short, fun, really simple, accessible to everyone and still full of strategy! 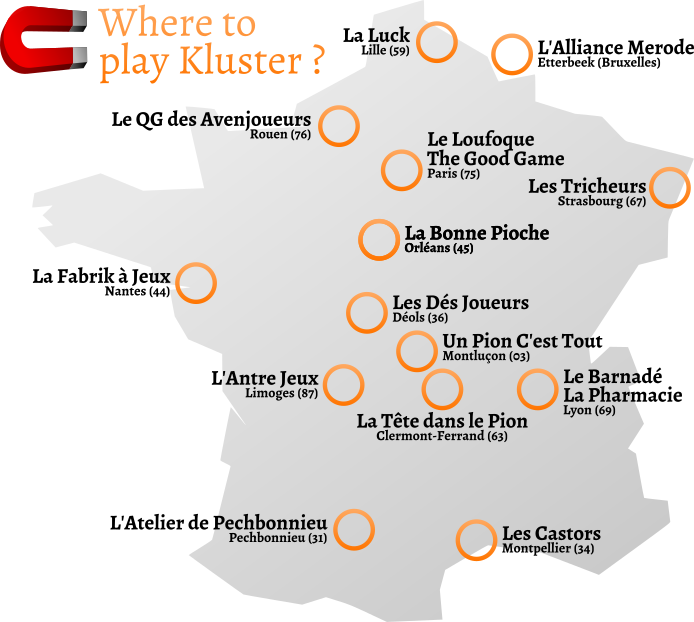 Kluster XL is an exclusive version of the game, available during this crowdfunding campaign, to gather up to 8 players in one Kluster game! 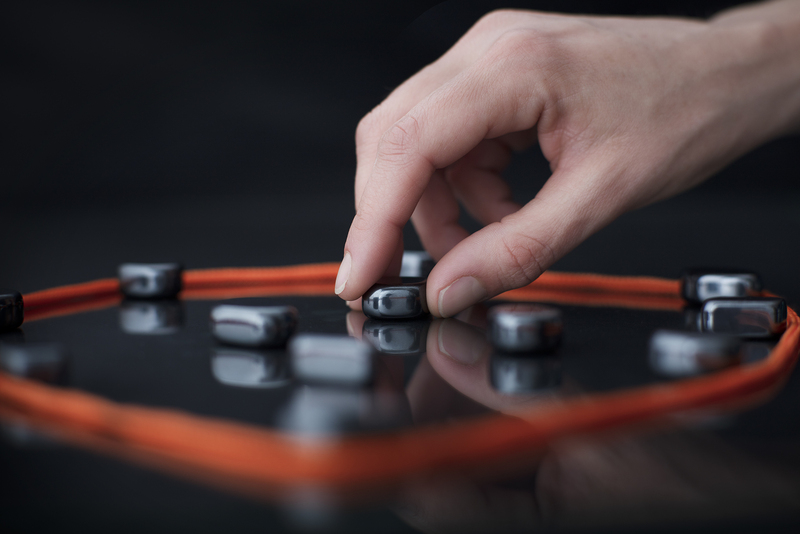 Kluster's elements are "language free" and each box will contain the rules in English, German, Spanish, Italian and French. If we can we will add more languages. 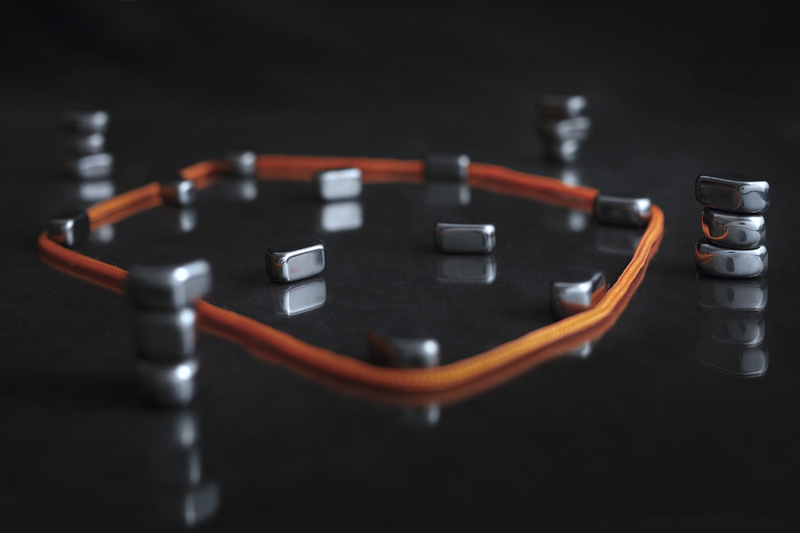 Magnetic stones are equally shared between players, who must, in turn, place one stone inside the area delimited by the cord. 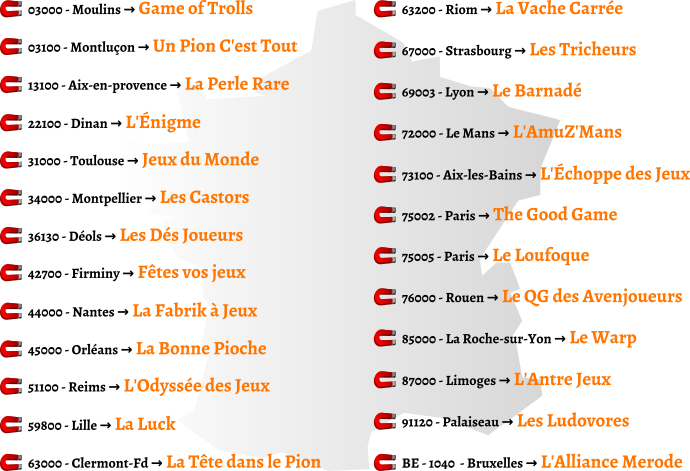 The first player to get rid of his or her magnets wins. But beware, when stones kluster together during one player’s turn, he or she collects them! 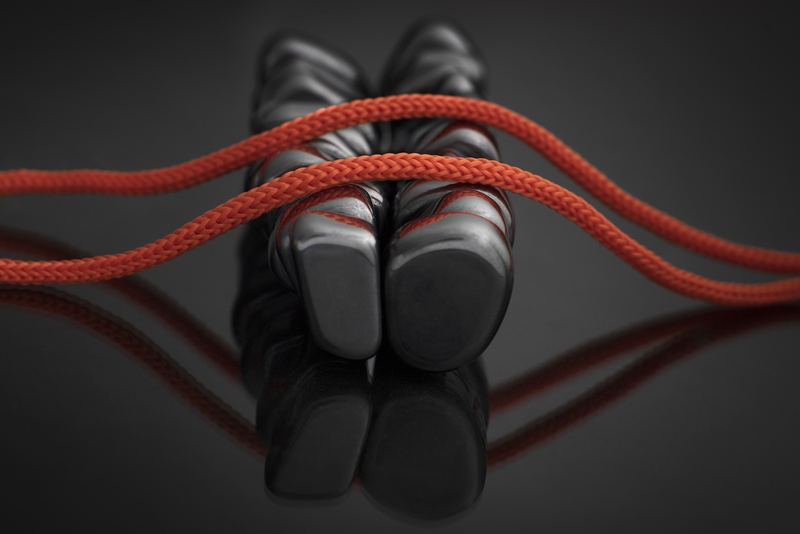 Nevertheless, many tricks are available: players can move the cord during their turn, use the magnetic field of their stones to move those inside the cord, place stones vertically to neutralize a larger part of the area, or set stones so close from each other that any perturbation will provoke a disastrous chain reaction! 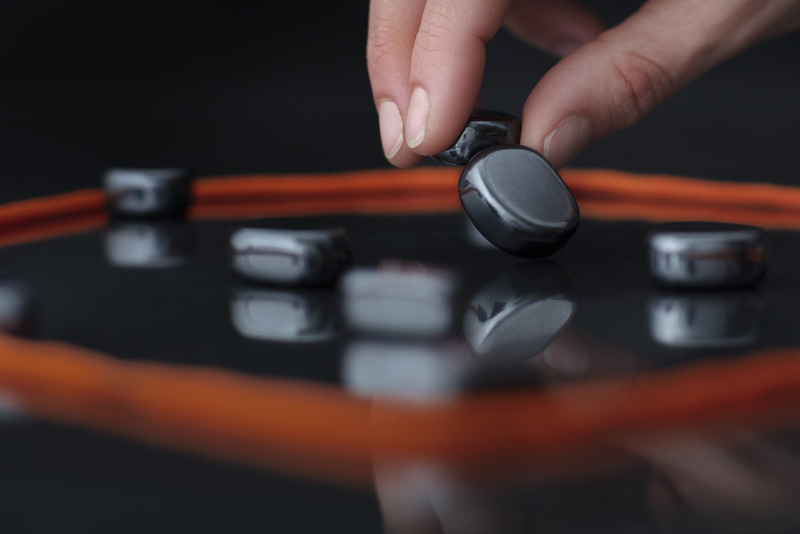 All stones don’t have the same shape and size and, therefore, the same magnetic properties. Sooner or later, the playing area will become a real magnetic minefield where any mistake will cost you dearly! 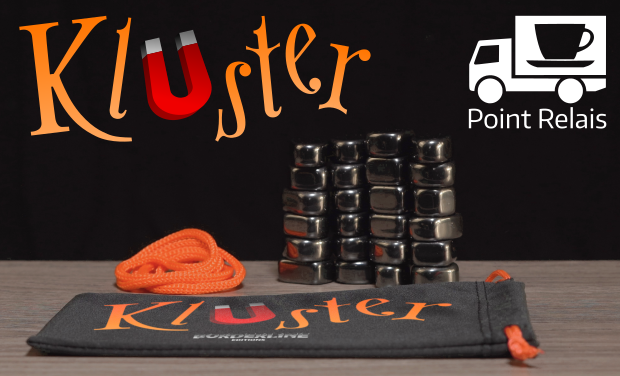 Kluster includes 24 magnetic stones, a cord, a bag to carry the game around and a page of rules. 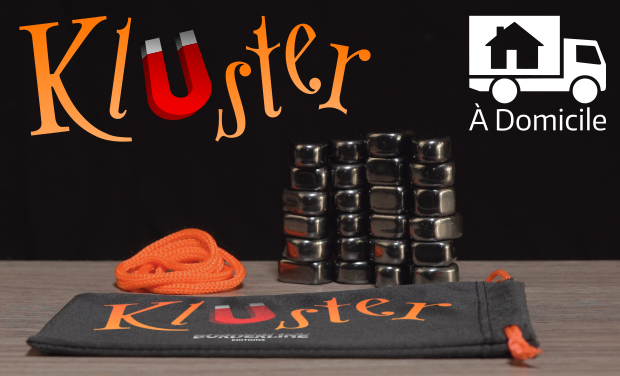 Through this crowdfunding campaign, you can order Kluster at a discount price and receive it before its distribution into stores. Additionally, we developed a pick-up relay system so you don’t have to pay shipping fees to get your game. 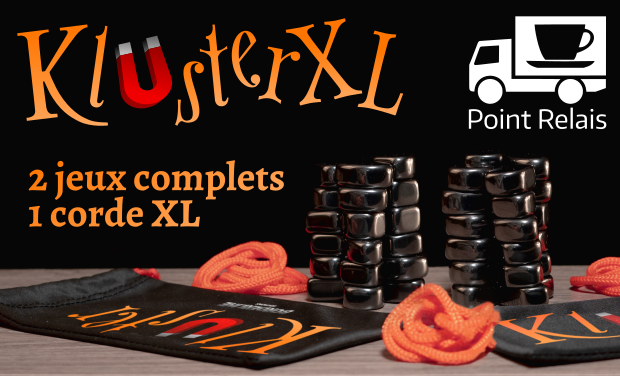 During this crowdfunding you can also get Kluster XL: a bigger exclusive version of the game for up to 8 players, composed of 2 Kluster games and one special cord to fit (almost) all the stones. Kluster has been designed in 2005 by Paula and Robert Henning, a couple of American globe-trotters. They left the game maturate several years, regularly playing with friends and during their travels all over the world. Eventually, the game was finalised and, faced with its awesome efficacity, introduced to the world! Kluster is on KissKissBankBank to gather funds in order to launch its production. We already have a supplier for all elements and a shipping method to deliver the games as soon as possible. Therefore, the game itself being finalized for a while, we would be able to launch production as soon as the crowdfunding campaign ends. Delivery is scheduled to October of this year, but it is a pessimistic forecast. We hope to send your game before that. 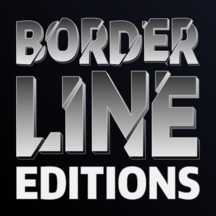 This is not Borderline Editions’ first ride, nor second! We published Deal American Dream through Kickstarter and Krom through KissKissBankBank. Both projects have been delivered in time, in fact three month earlier for Krom! Like that last campaign, its incredible success allows us to enhance all the games delivered to backers (and not those distributed later in stores) with additional material. 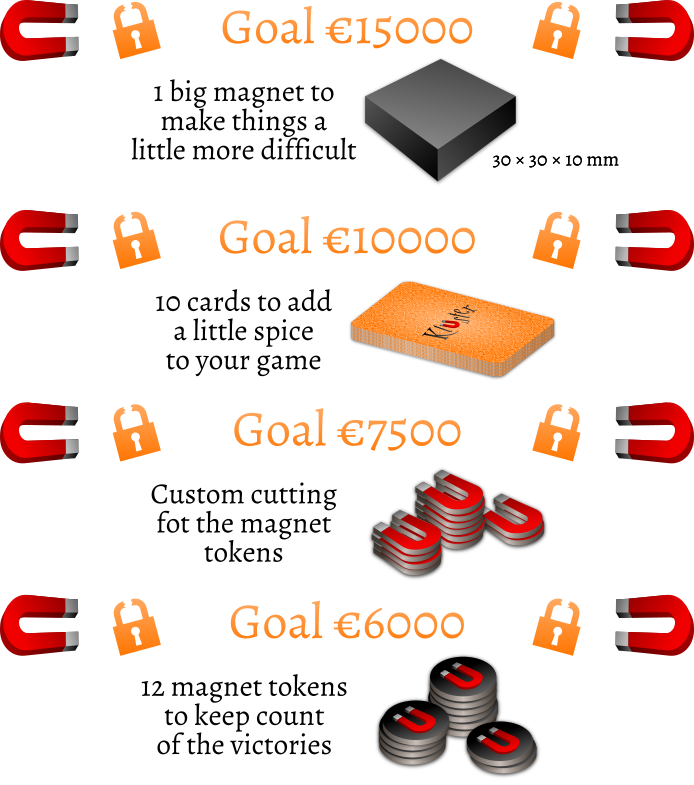 Because we don’t want to complicate a game as simple as Kluster, we decided to concentrate on a few substantial stretch goals.